Home/Investigators and Research Centers/Investigators/Marta Molla, B.Sc. Marta Mollá is laboratory manager at IVI Murcia. She completed her Bachelor’s degree in Biology at the University of Madrid in 1998, and obtained her advanced studies degree in Physiology Department at the University of Veterinary Medicine in Murcia. She also received Master’s degree in Techniques of Assisted Reproduction at the University of Valencia in 2008. As a researcher, her interests include sperm cryopreservation, ART laboratory science QA/QC, embryo aneuploidy and the study of the impact of embryo culture conditions on ART success. She has participated as emerging researcher in projects directed at identifying embryo markers related to embryo implantation capacity, funded by EU and Centro para el Desarrollo Tecnológico Industrial (CDTi). 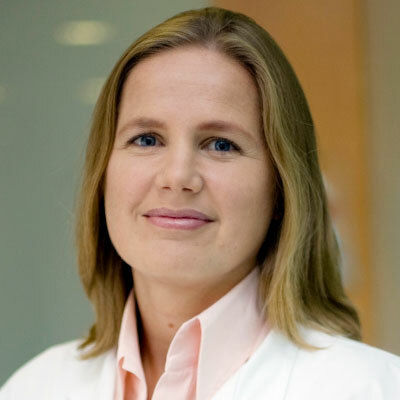 She is member of a number of scientific societies including European Society of Human Reproduction and Embryology (ESHRE), Association for the Reproduction Biology Study (ASEBIR) and Spanish Fertility Society (SEF). She is an active member in the Cryobiology Group of ASEBIR and in the Embryo Health Group of SEF. Marta Mollá has been involved in teaching imparting more than 20 courses since 2001. Nowadays she is one of the coordinators of the Human Reproduction Module from the Official Master’s Degree of Biology and Technology of the Reproduction in mammals of the University of Murcia. In addition, she is involved in teaching other Master’s courses in the field of reproductive medicine (University Master in Biology and Technology in Human Assisted Reproduction of the European University of Madrid, Spain; Online Master degree in the Biotechnology of Human Assisted Reproduction and Embryology and Master’s Degree in Biotechnology of Assisted Human Reproduction both of the University of Valencia, Spain). She has authored and contributed to over 60 oral and poster presentations in different International or National Reproduction Congress as European Society of Human Reproduction, Embryology or American Society for Reproductive Medicine, Spanish Fertility Society among others. Total urokinase-type plasminogen activator (uPA) levels in seminal plasma are associated with positive assisted reproductive technology outcomes. J Assist Reprod Genet , 35(6):1091-1101, 2018. ¿Existe relación entre el riesgo ocupacional y la calidad seminal?. Conductores profesionales y agricultores. Revista Iberoamericana de fertilidad.vol 23 nº3 Mayo-Junio 2006.185-187.